The organizational meeting of North Texas Trail Runners was held at the Irving, Texas home of Fred Holmes, club organizer and first president, on April 18, 1996. Eleven trail running enthusiasts from the Dallas area were there. On the agenda was planning of the inaugural Rockledge Rumble 50k. The previous December, at the Sunmart ultras, Fred met Donna Perkins and Chrissy Duryea (now Duryea-Ferguson), who were selling shirts to raise money for the team that would represent the U.S. at the 100 km world championship. Holmes was appalled to learn that team members would get only about $150 each to help cover travel costs. Jay Norman, a founding NTTR member, was also there. The two decided to use the Rumble as a means to raise money for the 100 km team. At the next meeting, club officers were elected and by-laws adopted. That summer the group’s first attempts at organizing club runs were made: a small run at Lake Lavon, and a night run at Lake Grapevine’s Northshore Trail. This trail is the favorite training ground of club members, and it is the site of the Rockledge Rumble, which takes place during November. The July night run, which has become a favorite annual club event, is also held there. NTTR has grown and attracted new members. Along with a strong core of Dallas/Ft. Worth Metroplex runners, the club has members in Austin, Houston, Amarillo, east Texas, Arkansas, and even Lou “The Ancient Brit” Myers in England. We try to encourage road runners to get on the dirt and try the trails. We have been fortunate to add new, enthusiastic members. While NTTR does boast many experienced and talented ultrarunners, that is not all we are about. Runners of all ability levels who want to enjoy the beauty of trail running are welcome. As the club has expanded, so have our events. Suzi and Michael Cope kicked off The Grasslands Trail Run in 1999, a 50-miler near Decatur (now owned by Chris & Anne Barnwell). Scott Eppelman continued the Dallas tradition of 24 & 48-hour Thanksgiving weekend running with 24/48 hour races, in Addison. Paul Stone was a race director for several ultras including the East Texas 50k in Tyler. NTTR runners have taken on the challenge of running ultras all over the U.S. and even internationally. Suzi Thibeault (now Cope), Letha Cruthirds, Neil Hewitt, Robert Tavernini, Drew Meyer, and Chris Barnwell have completed the Grand Slam. Jay Norman broke his age group record at the 2000 AT100 by over an hour, in an amazing 22:49. In the same year at the Ultracentric 24/48, Chuck Chandonia and Fred Holmes finished first and second, patiently wearing out runners as much as thirty years younger than them. Betty Norman has finished eleven Sunmart races. Tyler Curiel’s idea of a team competition against Arkansas runners at the Arkansas Traveller 100 evolved into the AT100 Team Challenge, which mighty team Texas won four times, with NTTR runners scoring each time. But we haven’t forgotten our roots. Tom Crull and Cindy Melder were RD’s for the Rockledge Rumble (now owned by Chris & Anne Barnwell), which continues to grow and improve. Adding a 10k (as well as 30k) run has introduced many “roadies” to the trail. And with the help of Lou Myers and others, NTTR has donated over $10,000 to support the U.S. 100 km team over the years. NTTR is about fun, fellowship, and supporting each other. You’ll know if we are at an ultra, as we will be proudly wearing club logo shirts and having the most fun. Our Damnation Aid Station at Rocky Raccoon 100 is becoming legendary. If you’re new to NTTR, take a few minutes to browse through our web site, and introduce yourself to us at a race! Join/Renew your membership at active.com. 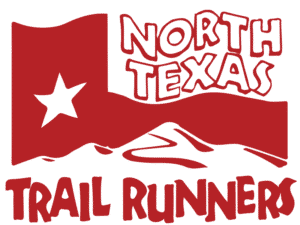 Copyright © 2019 North Texas Trail Runners | Host of the Frisco Trail Race & Red River Trail Run. All Rights Reserved.